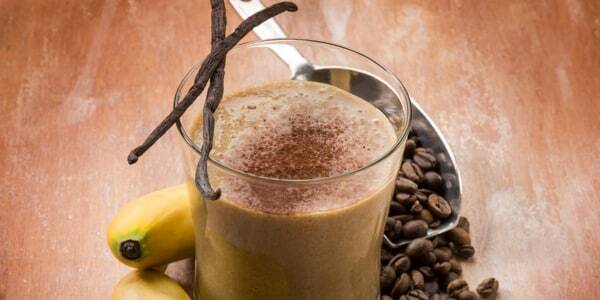 Yes, you can make healthy mocha and vanilla ice coffee — here's how! If you go to bed dreaming about your morning coffee, then you’re in luck. It turns out, a cup of joe is more than just a tasty way to start your day — the sip boasts some serious health perks: Studies suggest it’s associated with a decreased risk for Parkinson's disease, type 2 diabetes and reduced risk of death. Coffee also delivers a shot of energy and can help power you through a workout. 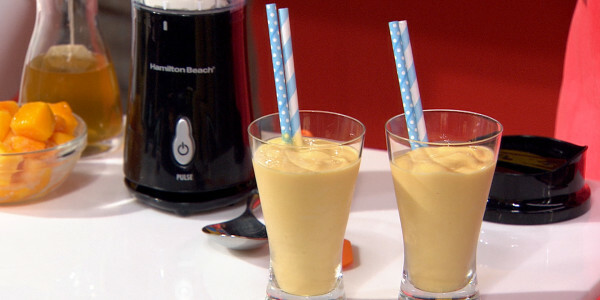 Add some vanilla va-va-voom to iced coffee. Start with your favorite cup of chilled coffee. Add 1/4 teaspoon of vanilla extract, a generous splash of vanilla almond milk, and an optional 1 teaspoon of sugar. And here’s my secret trick: To prevent the ice cubes from watering down your brew, make your own “coffee cubes.” Pour leftover coffee into ice cubes trays, then freeze and pop ‘em in your java. Blend up a healthy iced mocha coffee. Like your coffee frozen and frothy? You’ll love my Iced Mocha Coffee, which is a tasty trifecta of chocolate, coffee and caffeine. In a blender, mix 1/2 cup brewed cold coffee, 1/4 cup skim milk, 1 generous tablespoon chocolate syrup and 4 to 5 ice cubes. Pour into a glass and top with a squirt of whipped cream. Cheers!